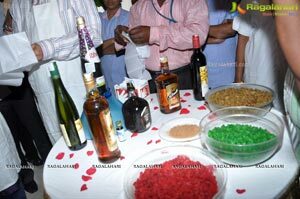 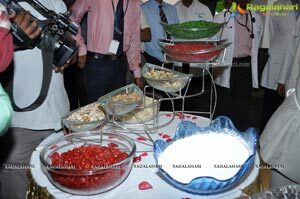 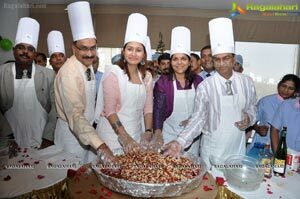 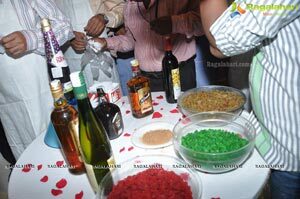 Hyderabad, 12th December, 2012: Apollo Hospitals hosted the festive traditional cake-mixing ceremony marking the onset of Christmas celebrations at the hospital on Wednesday. 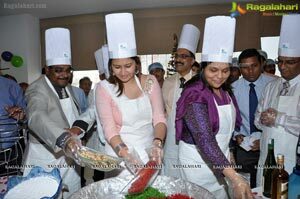 Badminton Ace Jwala Gutta joined Ms. Sangita Reddy, Executive Director, Apollo Hospitals; doctors, nurses, para-medical staff and patients to kick start the festive spirit. 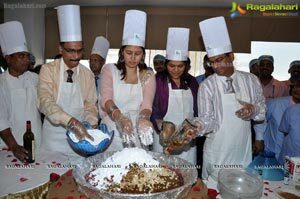 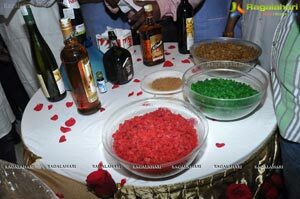 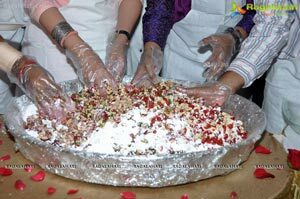 The participants showed great enthusiasm to experience the mixing of the ingredients in making of the Christmas cake. 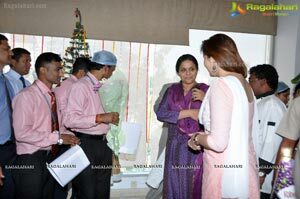 The festive atmosphere presented a great occasion for staff and patients to bond and share joy and fun. 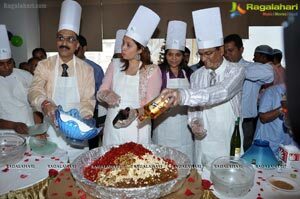 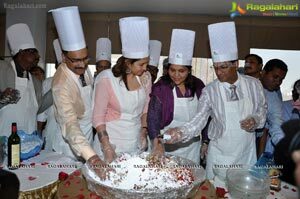 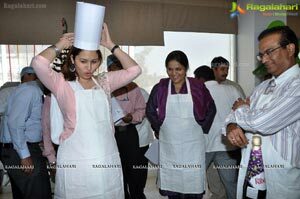 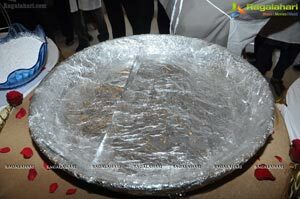 Speaking on the occasion, Jwala Gutta said, it’s nice to be part of cake mixing during this festive season. 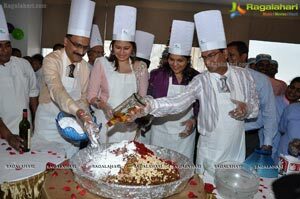 Though it’s the first time I am involved in a cake mixing, I thoroughly enjoyed it and sure of a tasty cake being the outcome. 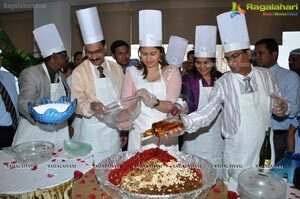 It’s an occasion of celebrations and the thought behind the cake mixing is noble, she added.